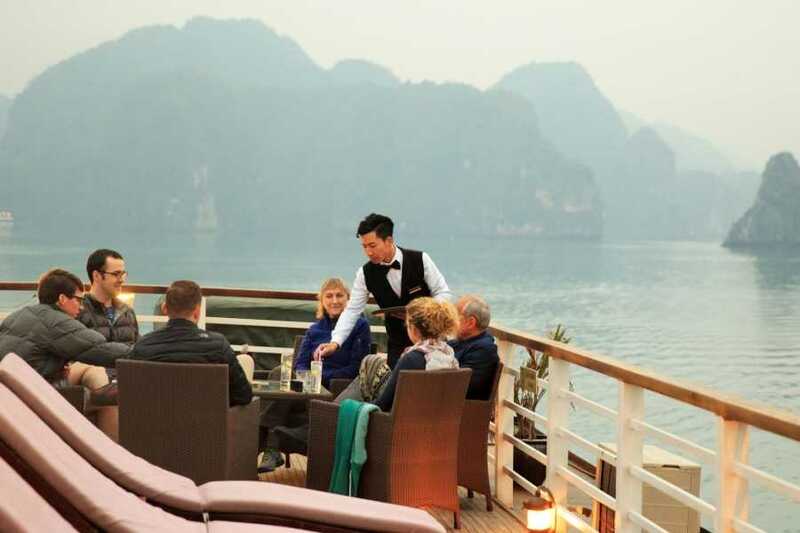 Friends Travel Vietnam’s - premium selected cruise trips combine the meaningful small-group travel experiences we’ve made famous with a little more polish. 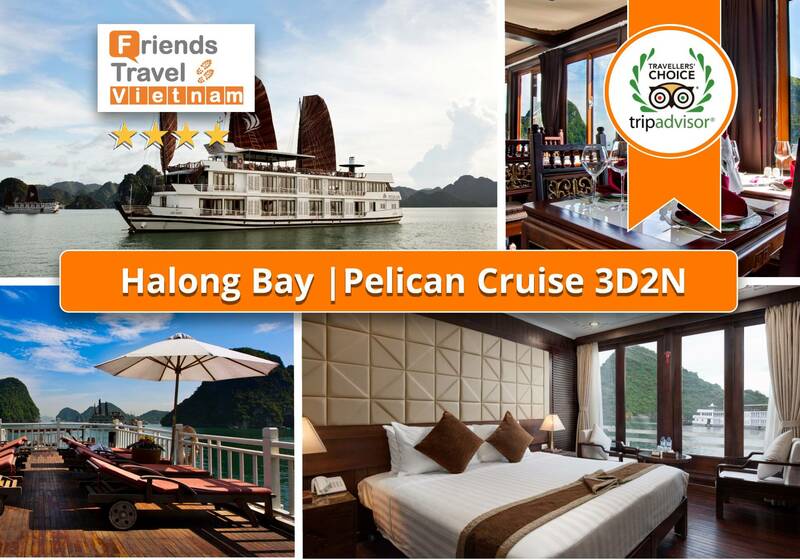 Start cruising and enjoy the romantic waves of Halong Bay with Pelican cruise. 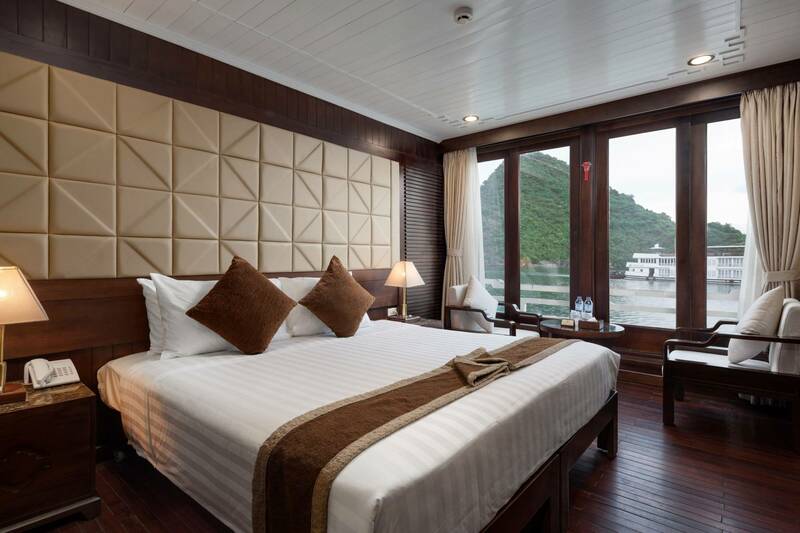 - Our shuttle bus will come to pick you up at your hotel in Hanoi centre. 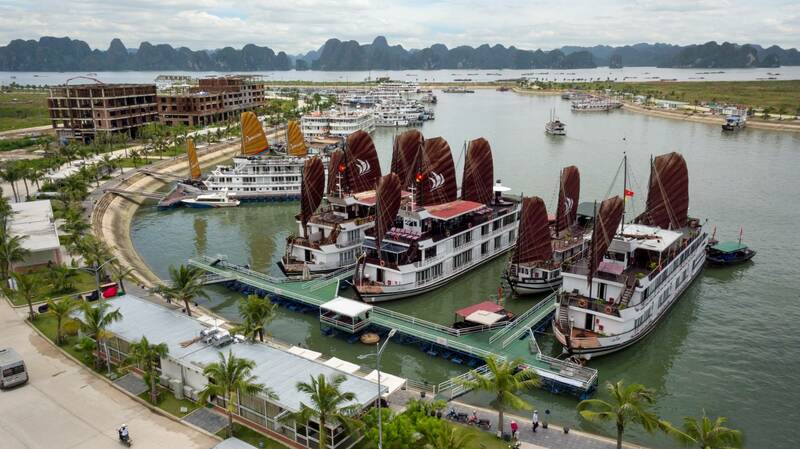 Drive to Halong City. Enjoy the landscape of the Red River Delta country side. - Welcome drink - receive cruise briefing, safety instructions and check in. 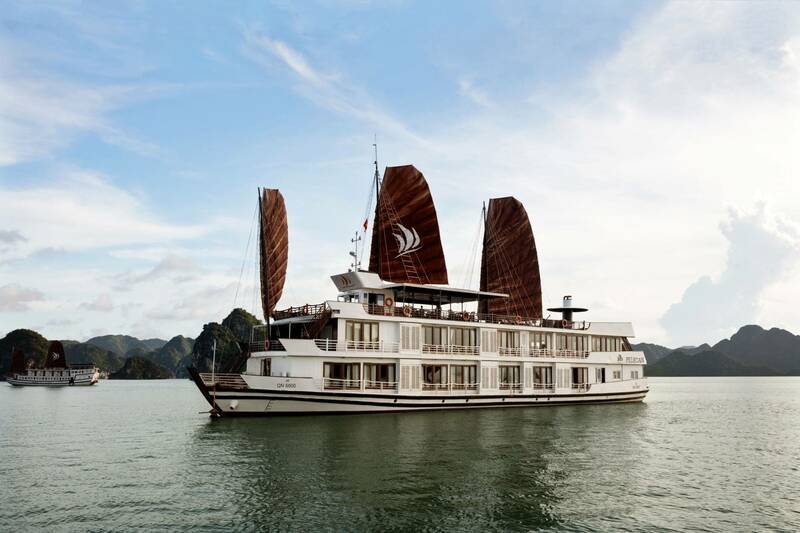 Start cruising and explore Halong Bay - one of the New Seven Wonders of Nature. 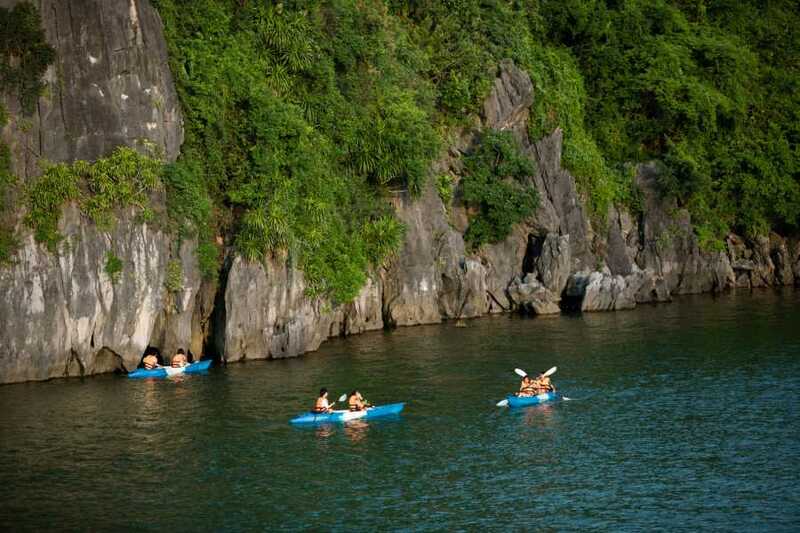 - Visiting Luon cave, the perfect combination of lime-stone mountains and jade-green sea by bamboo boat with local people or kayaking based on your preference. 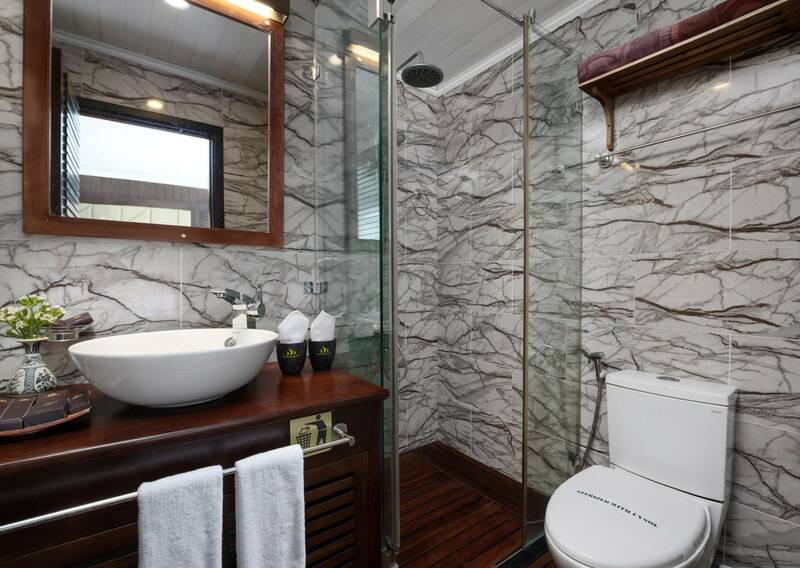 Enjoy quiet space and pure air, you will feel relaxed truly. If you are lucky, you will see monkeys on islands. 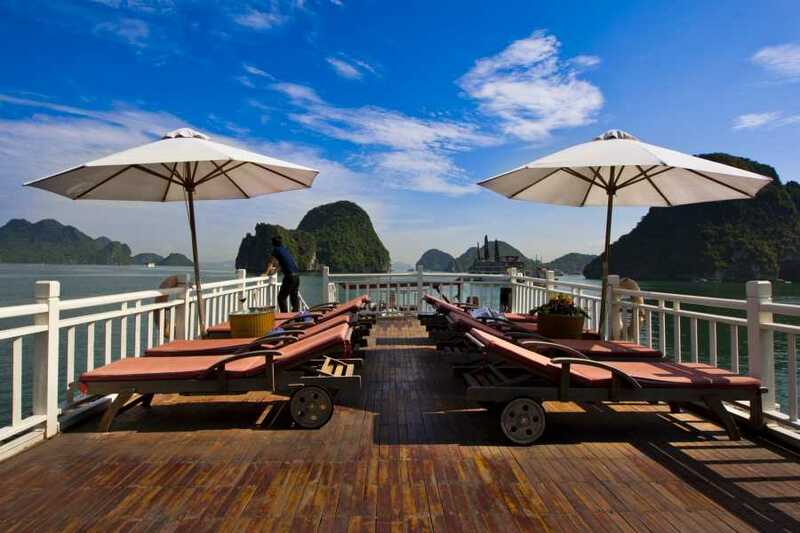 - Visiting the beautiful Ti Top beach for swimming (if the weather permits), Ti Top Beach is especially famous for its fresh atmosphere, clean water, and smooth white sand that create a great ambiance for tourists to relax or passengers can take steps to reach on the top of Ti Top beach to have a whole panorama view of Halong Bay. - Attend the Cooking class on sundeck – How to make Vietnamese spring rolls - traditional Vietnamese food. Then enjoy Happy Hour (Buy one drink-get one free). 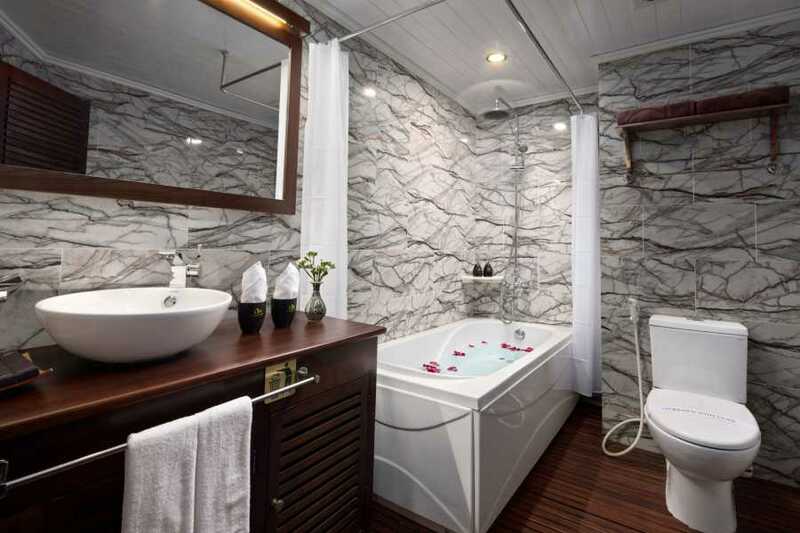 It is time for chit chat and relaxing. 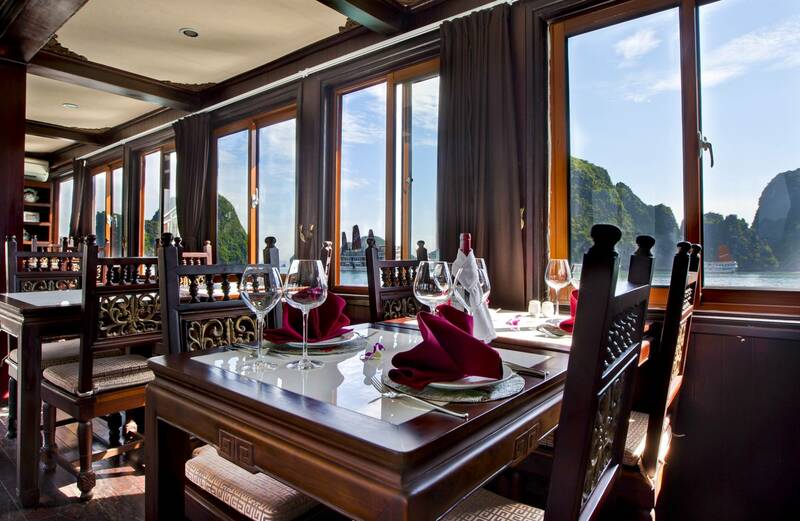 Watch the magnificent sunset over Halong Bay. 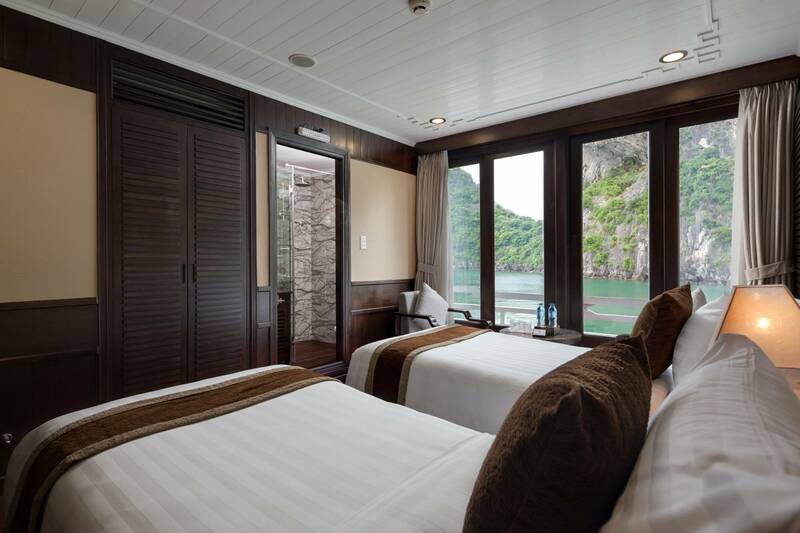 - Evening activities include: Leisure time to enjoy a chat around the bar, watching movies and many sort of Vietnam cultural films, relaxing and spending a romantic night on Pelican Halong Cruise’s music, playing cards, chess are available, reading magazines in room and dining room. 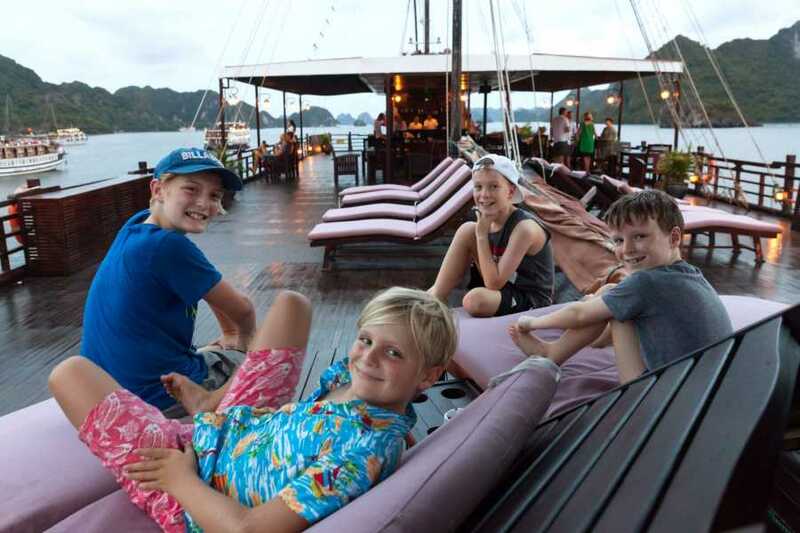 You may also try your luck at squid fishing & fishing from the boat. 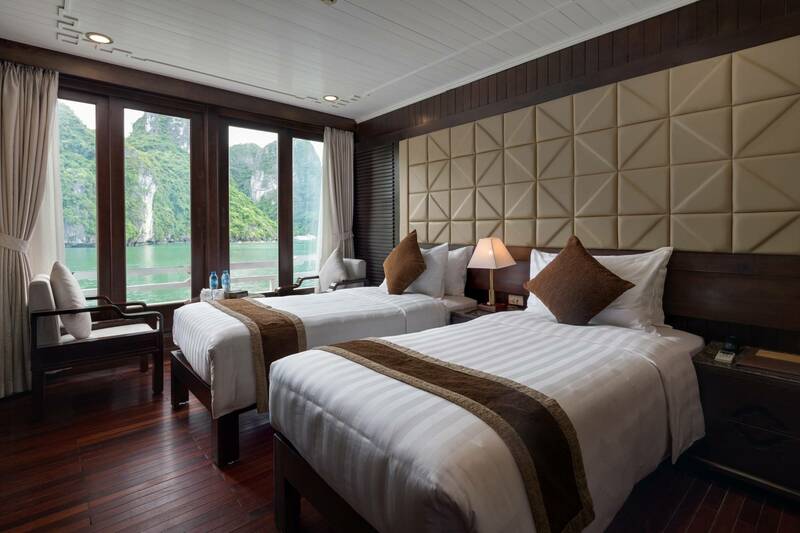 - Back to day boat for visiting Bai Tu Long Bay, enjoy beauty of Bai Tu Long Bay, free kayaking and swimming at Ba Ham Lake area situated in the middle of a narrow, rectangular area, with the all four sides enclosed by vertical cliffs. (if the weather permit). 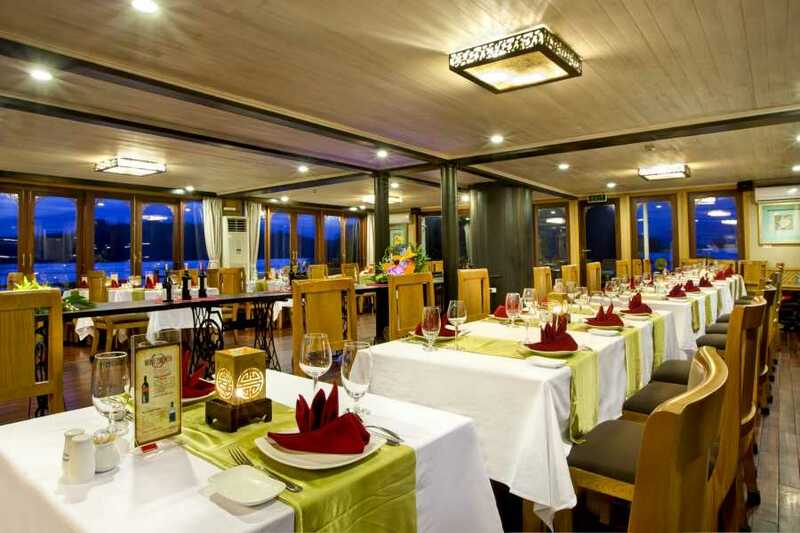 - Set menu lunch served on day boat. 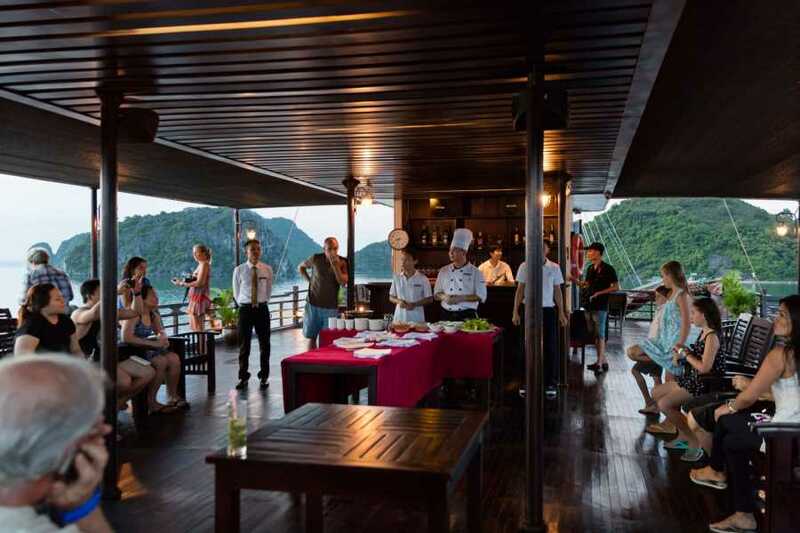 - Attend the Cooking class on sundeck. Enjoy Happy Hour (Buy one drink-get one free). 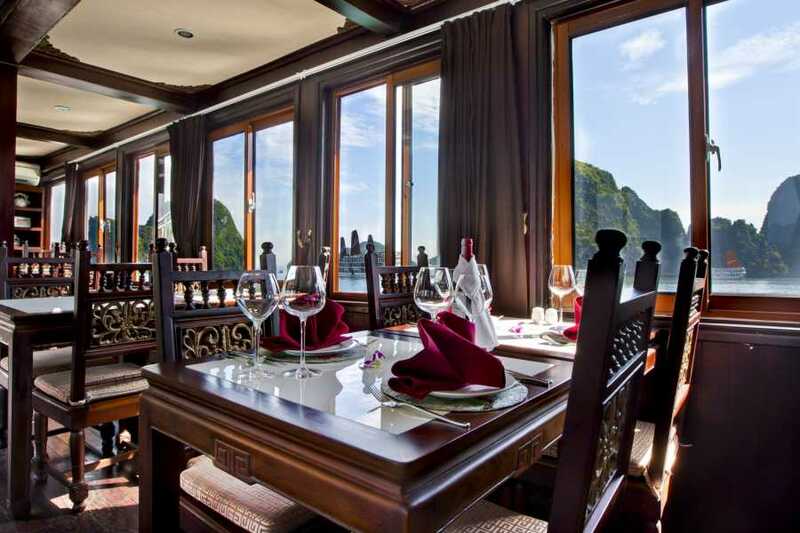 Watch the magnificent sunset over Halong Bay. 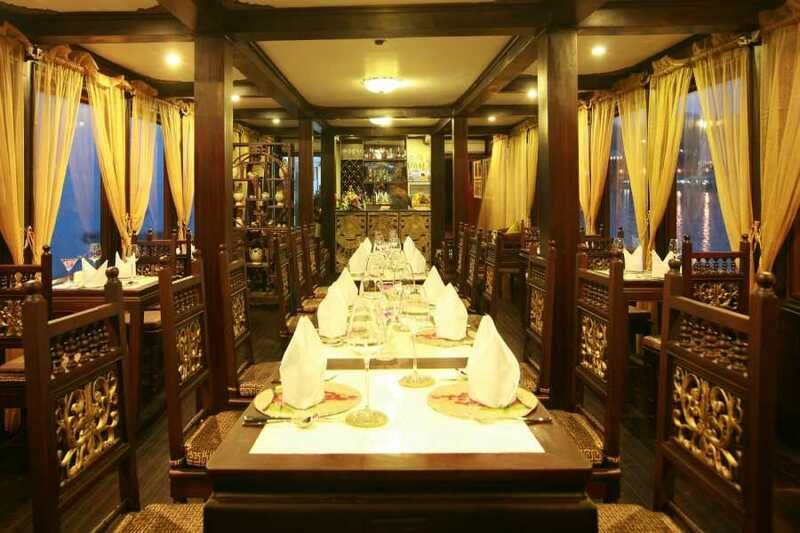 - Evening activities include: Leisure time for chatting around the bar, watching many sorts of Vietnam cultural films. 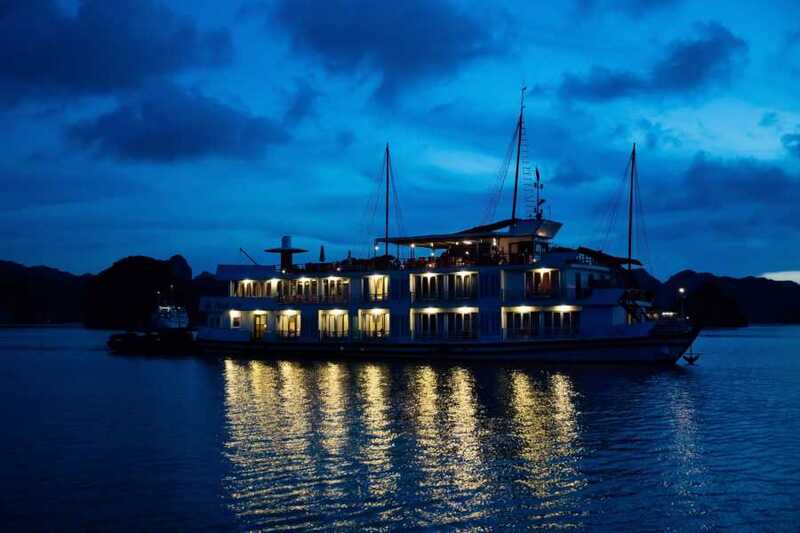 Relaxing and spending a romantic night on Pelican Halong Cruise’s music. 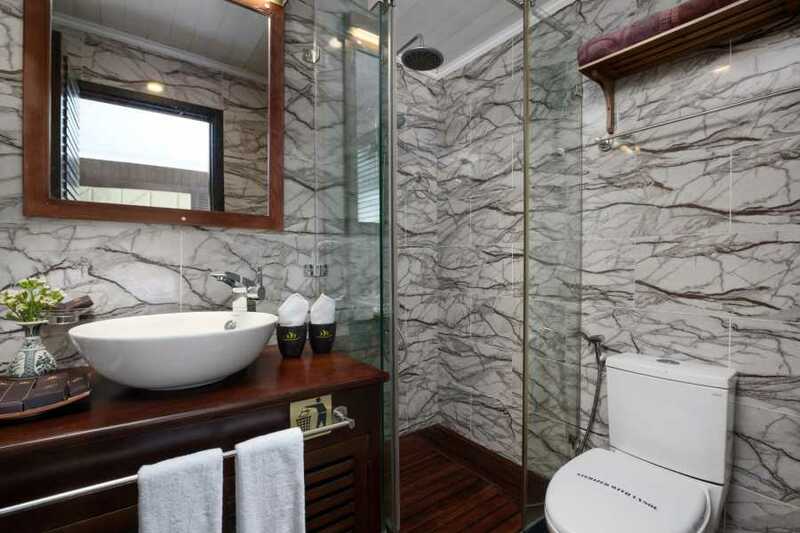 Reading magazines in room and dining room. 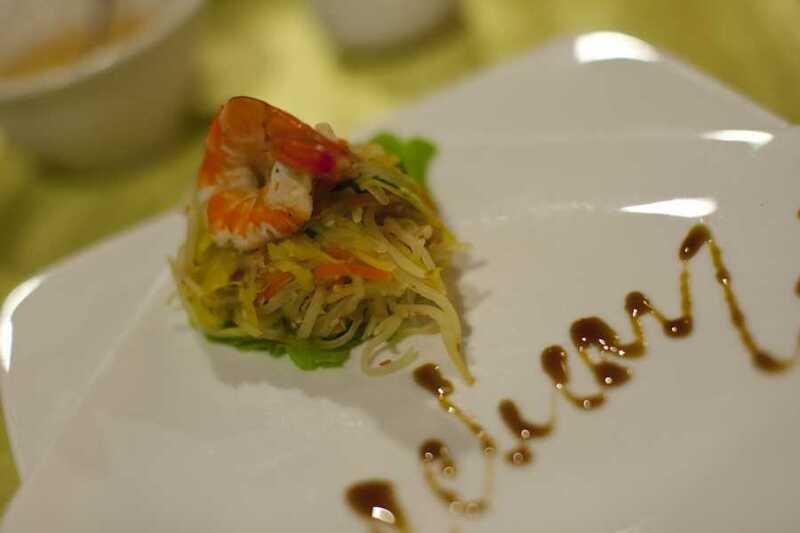 You may also try your luck with squid fishing on the boat. 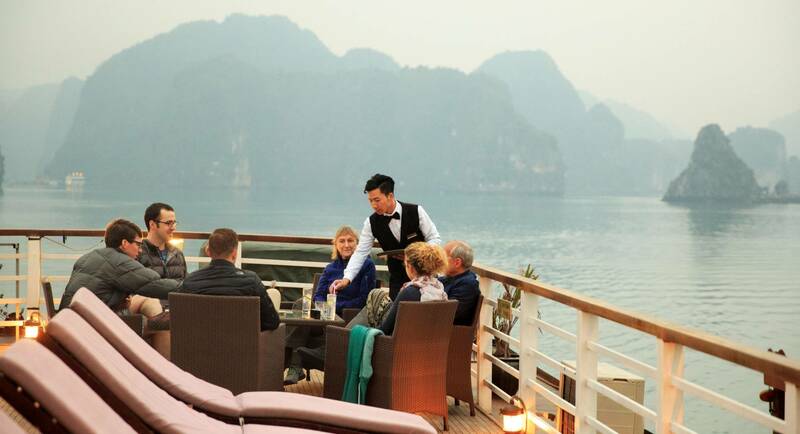 - The day starts early onboard with Tai Chi class session on the sundeck. Tai chi, also called Tai chi chuan, combines deep breathing and relaxation with slow and gentle movements. - Transfer by tender to Sung Sot Cave. Walk up about 100 steps to the cave entrance. 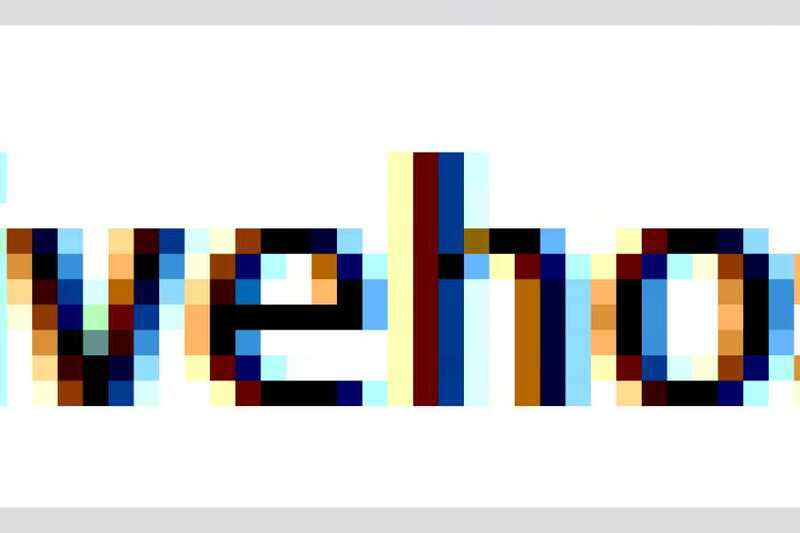 It takes approximately 45 minutes for cave visiting. 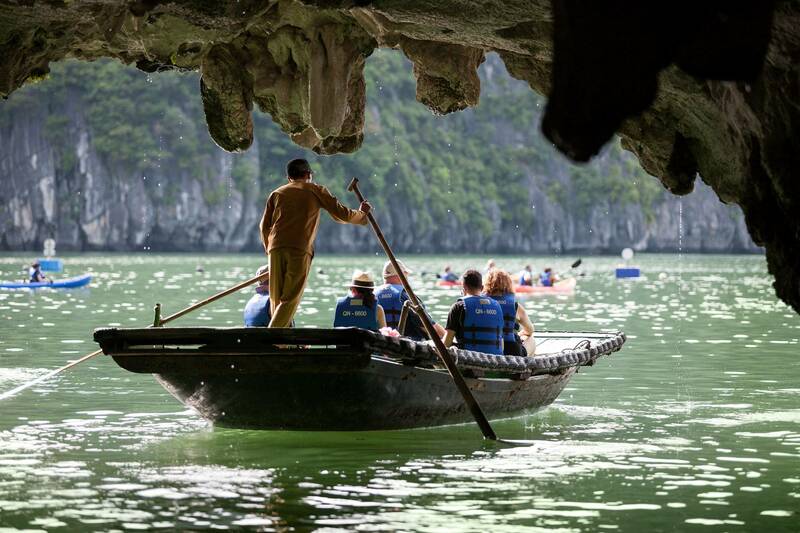 Visit Sung Sot Cave, one of the most biggest cave in Halong bay with beautiful stalactites and stalagmites. Return to the boat by tender. Proper shoes are highly recommended. 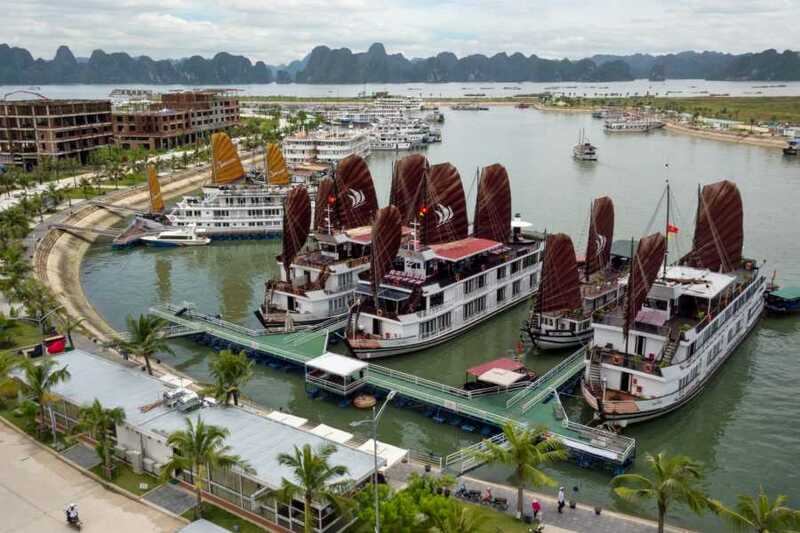 Back to Glory Legend Cruise. 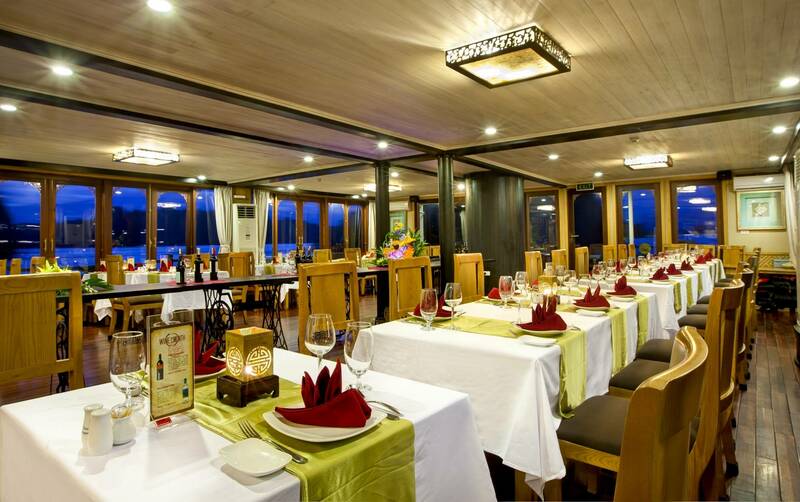 Check out and settle your bill at reception.Back to Disembark to Tuan Chau Wharf. Say goodbye to the crew. 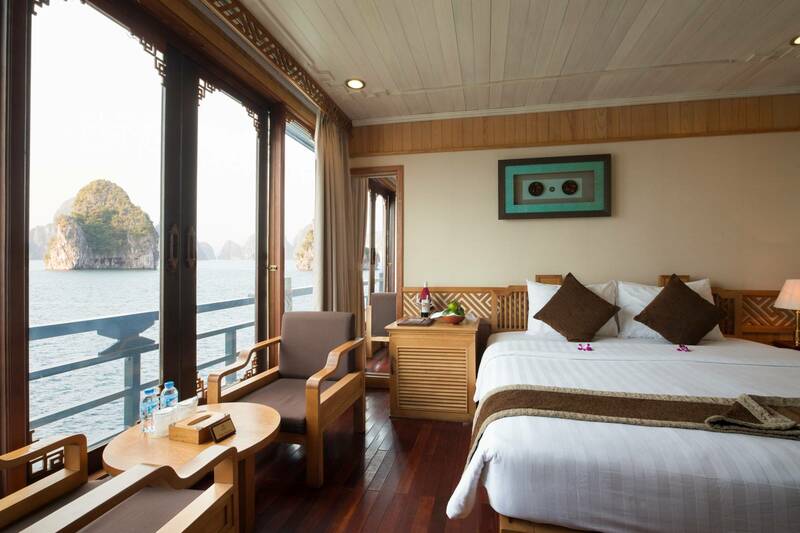 - Return to Hanoi by shuttle bus.